Two major historical discoveries are considered to by key to the development of photography ― the invention of the camera obscura as a means of image projection in the 17th century, and the notion that some chemical substances tend to change when exposed to light. According to some studies, the latter became known as early as the 14th century. This scientific foundation wasn’t much, but it allowed curious people to dream of an apparatus which would be able to capture time and preserve the image of a moment forever. From the first ever photograph, across various chemical processes and photographic methods, allow us to take you on a tour across some of the most important historical photographs which shaped the medium and defined it as we known it today. Although the exact date remains unknown, Nicéphore Niépce’s photograph was made either in 1826 or 1827 as a result of continuous scientific research he had conducted together with his brother, Claude, since 1801. 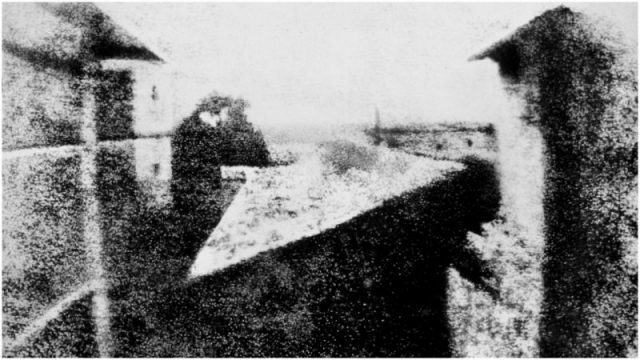 The final result of this research became the first-ever photo technique called heliography, and a heliograph titled View from the Window at Le Gras which is enshrined as the first successful photograph. While selfies have been all the rage for a few years now, it’s interesting to note that the idea of photographing oneself without the help of others was one of the first goals in the earliest days of photography. 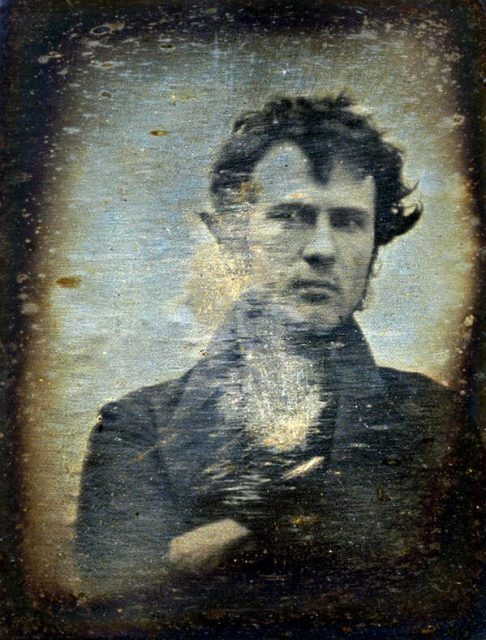 The first official autoportrait was made in 1839 by one Robert Cornelius from Philadelphia, featuring him staring at the camera. The earliest surviving daguerreotype of The Moon by Draper, 1840. The Moon has always fascinated humans. Since the early days of civilization, this celestial object garnered much respect among scientists and religious figures alike, who would often attribute mystical powers and influence to it. In 1840, an American scholar named John William Draper decided to pay homage to this everlasting symbol by photographing it from the rooftop of his observatory at New York University. 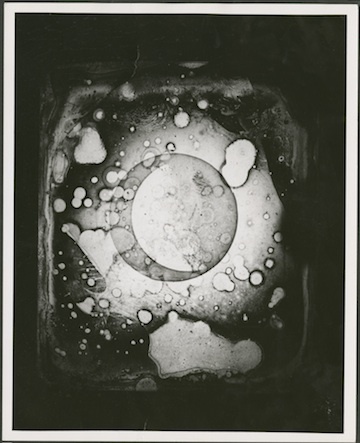 The picture has sustained damage since then, but it remains the first ever photographic document of the Moon. 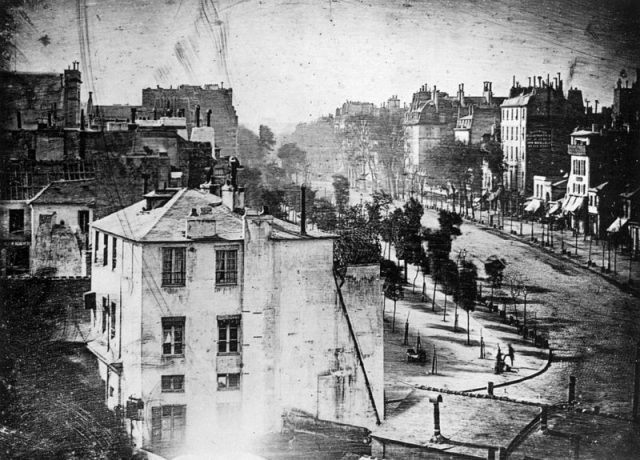 “Boulevard du Temple” taken by Daguerre in 1838 in Paris includes the earliest known candid photograph of a person. It might come as a surprise but the first photo to include people came only in 1839, 12 years after Niépce made his famous shot. It was made by Louis Daguerre, who took the invention one step further, making the process of photography available to the wider public. The photograph, produced in 1839, features the Parisian Place de la République. It is also the first-ever photograph of the City of Lights. The first photograph that captured the heat of battle happened in 1870, during the Franco-Prussian War. It was taken at Moncelle, near Sedan, where a decisive battle of the war was fought. 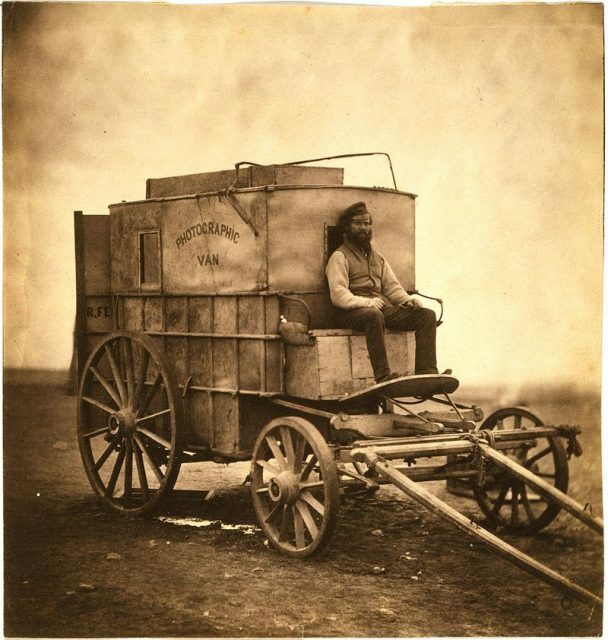 Even though photographs were made in the breaks between battle during the Crimean war some 15 years earlier, it was this particular photograph made by an anonymous author that captured the very essence of warfare, with people actually participating in combat. While portraits of statesmen have been around since the dawn of civilization, it wasn’t until 1841 that a president of a country agreed to be photographed instead of painted, as the tradition dictated. The first President of the United States to be photographed was William Henry Harrison, whose term was cut short by pneumonia, as he died just 31 days after he took office. 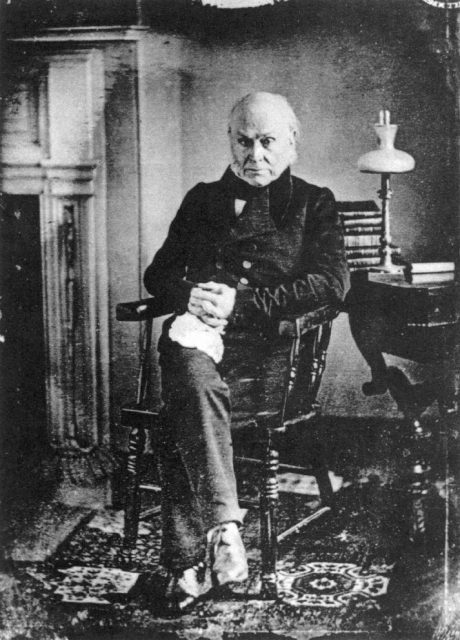 Since this photograph was lost, the title fell to John Quincy Adams, the sixth President of the United States, who was photographed in 1843, 14 years after he left office, by Philip Haas, a daguerreotype pioneer in the U.S. 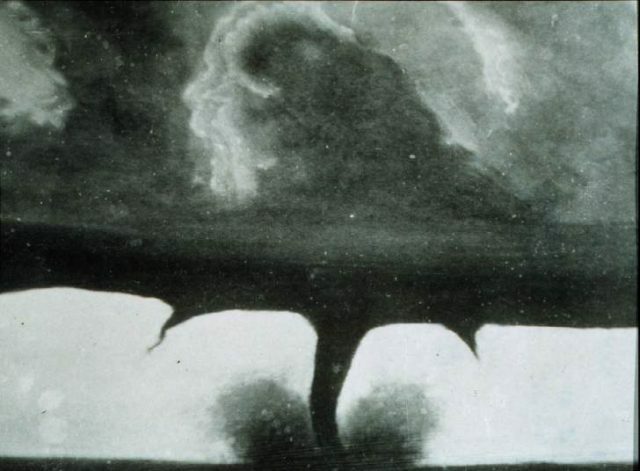 This is said to be the oldest known photograph of a tornado. This was taken 22 miles southwest of Howard, South Dakota on August 28, 1884. Natural disasters, just like any other natural phenomenon, have always attracted photographers. When a tornado hit Kansas on April 26, 1884, one A.A. Adams hurried to capture it on film, using his box camera. Today, storm chasers go to extreme lengths in order to photograph such anomalies, and it’s safe to say that Adams was the man who started this trend. Boston, as the Eagle and the Wild Goose see it. 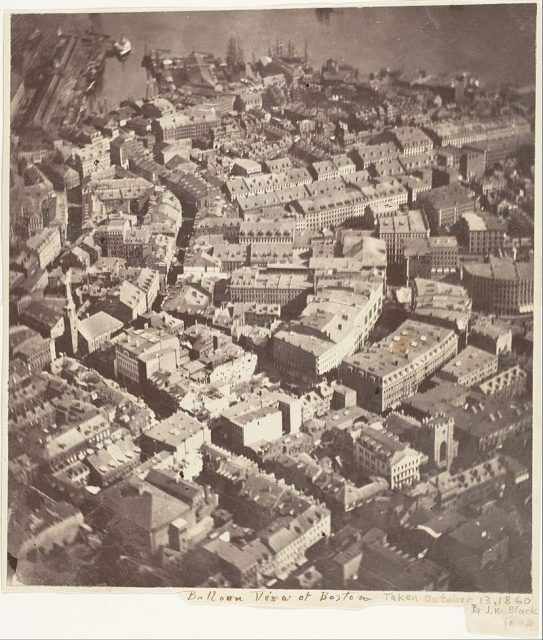 Nowadays, we have drones to photograph or record while airborne, however, in the 19th century, just to load a camera onto a balloon was no easy task. However, that’s just what James Wallace Black and Samuel Archer King decided to do in 1860, inspired by a previous effort by a French photographer and balloonist Gaspard-Félix Tournachon, whose footage was lost. First view of Earth from Moon. Fast-forward to the mid-20th century and what was once perceived as impossible had finally been done ― a picture of the Earth taken from outer space. It was made by a lunar orbiter on August 23, 1966, two years before man set foot on its surface, after the orbiter made its 16th lap around the Moon. The cutting-edge of photography always relied on physics, so it comes as no surprise that the first-ever color photo was made as a result of research conducted by James Clerk Maxwell, a Scottish physicist who developed a three-color method of “painting” black and white photographs. 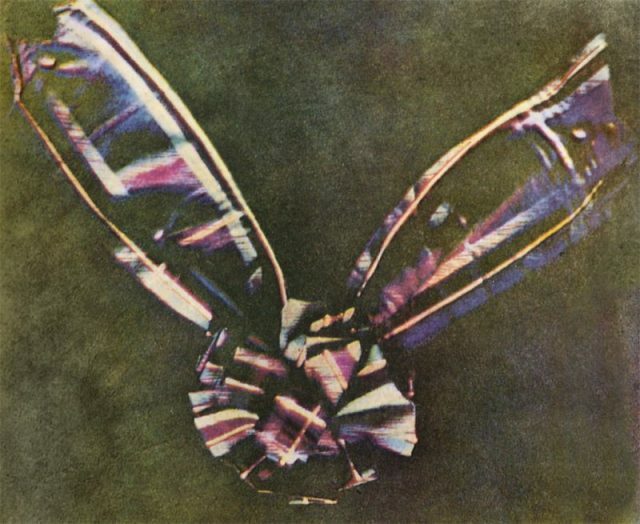 The invention came as early as 1855, but it wasn’t implemented until 1861, when Thomas Sutton applied it to a photograph of a Scottish tartan ribbon. Pioneering digitally scanned image of Russell Kirsch’s son Walden, 1957. 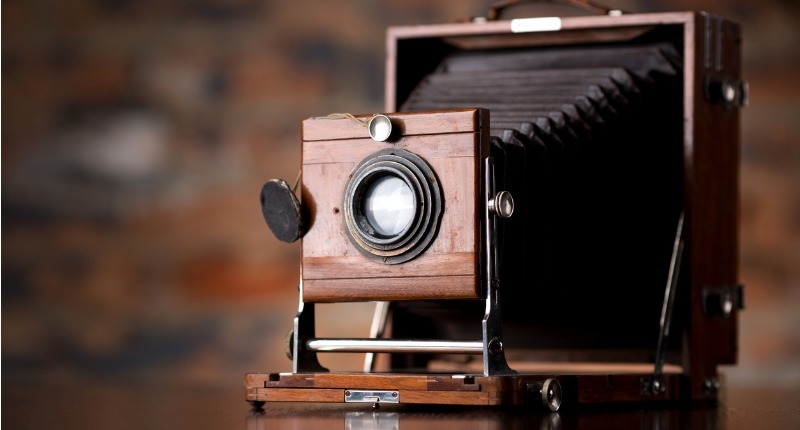 When someone mentions digital photography, it is usually associated with the 1990s and later. However, while it was first patented in 1977 with the Kodak digital camera, the invention itself was not available commercially until around 1990. 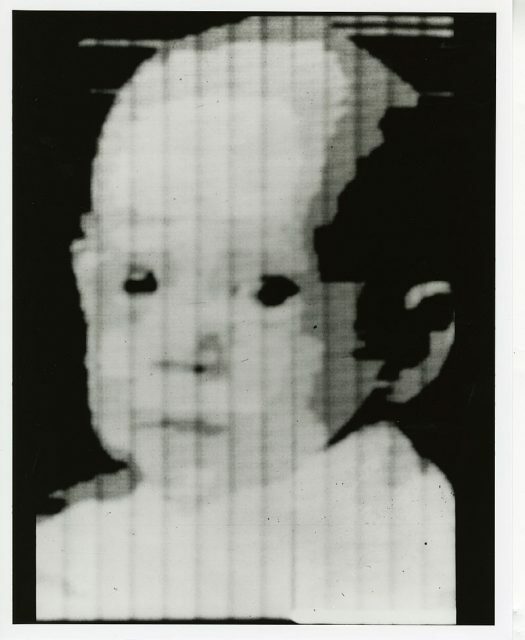 Patented by Russell Kirsch, the first-ever digital photograph depicted his son and was far from the quality we are used to today. It is actually a digital scan of an image originally taken on film, which explains the square format. And now the question remains. Where will photography lead us to next?